Details: Thin tin coating on the solid copper hollow point resulting in higher energy levels and longer barrel life. Will maintain 100% of their original bullet weight. Each round features deep penetration, positive functioning and superb accuracy. Loaded to SAMMI and CIP specifications. 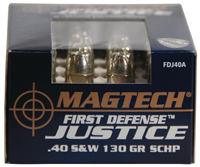 Ammunition is new production, non-corrosive, in boxer primed, reloadable brass cases.